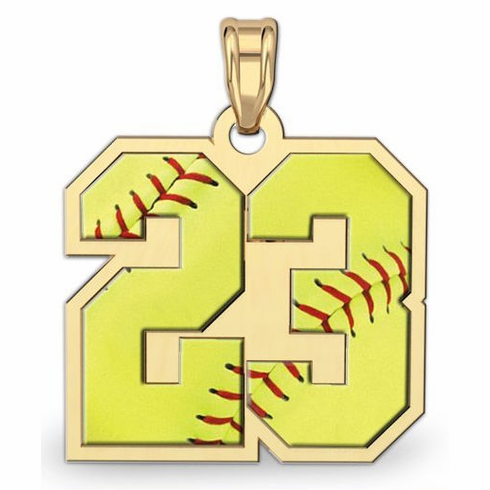 Flat pendant design with red and yellow softball number. Choose Sterling Silver, solid 10K yellow gold, solid 10K white gold, solid 14K yellow gold, or solid 14K white gold. Color will never chip or fade...lifetime guarantee. Pendant only - chain not included.